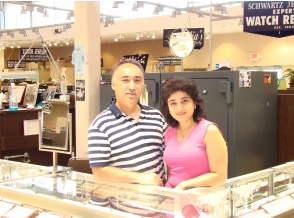 We specialize in the most BEAUTIFUL HIGH END AND FINE JEWELRY FOR MEN, WOMEN AND CHILDREN alike! In addition, we also carry top of the line WEDDING BANDS & ENGAGEMENT RINGS. Plus, we also do special orders for every jewelry desire! Most importantly, everything is competitive and affordably priced! !